"When the boy and girl found a discarded pop bottle in the vacant lot, off they would go to the drugstore to redeem the two cent deposit. Those two pennies meant two pulls of the gumball machine lever. 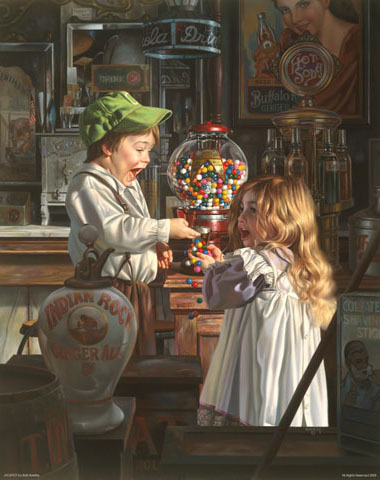 One cent, one pull, one gumball, or as every child has dreamed of, a malfunction of the machine and a jackpot of gumballs to fill their pockets."